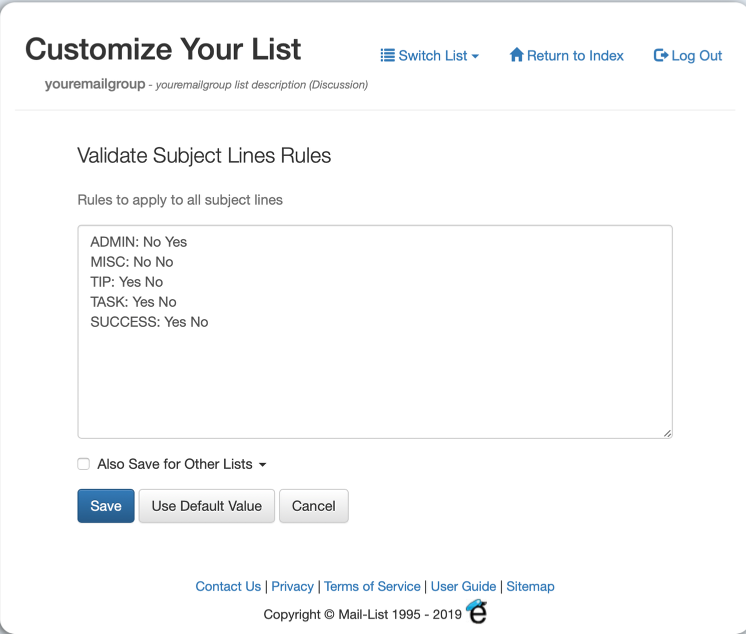 You can limit messages to your list, based upon the start of the Subject Line. If your mailing list needs more structure, consider using subject tags. Subject tags are one-word categories added to the front of a subject line, and can be customized to your own list needs. challenge, and SUCCESS for announcing what they've accomplished. subscriber's hijacked machine from reaching your membership. 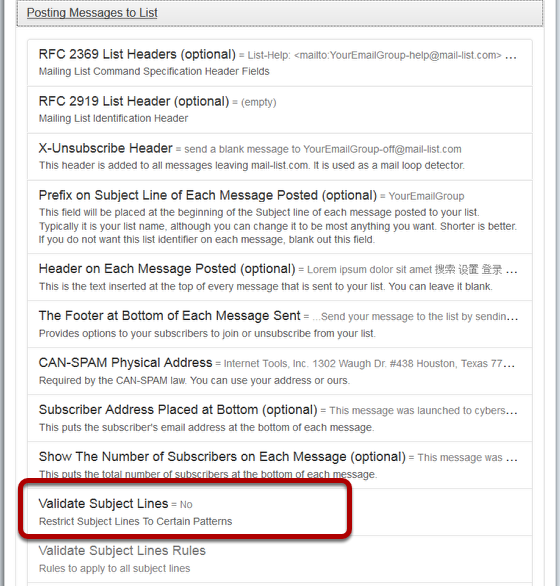 Subject tags require the subject line of an incoming message to meet certain requirements before being sent on to the subscribers. You can have some subject tags that only the list moderators can use. You can restrict some subject tags, so that Replies are not allowed. So only the list moderators can send email with the word Admin at the beginning of the Subject Line. Everybody can send messages with the other Subject Tags. MISC can not have Replies, but TIP, TASK and SUCCESS can have replies. Prev: How do I ensure that a message was posted by my subscriber and not a spammer?